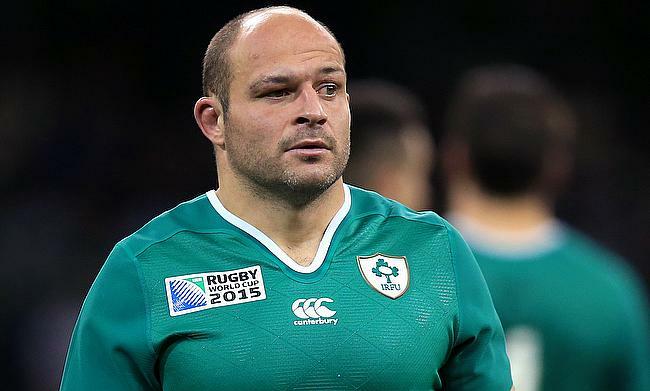 Ireland head coach Joe Schmidt has recalled captain Rory Best and fly-half Jonathan Sexton for the upcoming autumn international Test against Argentina set to take place at Aviva Stadium on Saturday. Best was ruled out of Ireland's summer series against Australia and was rested for the Chicago clash against Italy along with Sexton. Despite Ireland registering a 54-7 win over Italy last weekend, Scmidt has made several changes to the line-up with Keith Earls replacing Andrew Conway on the wing while Garry Ringrose makes way for Robbie Henshaw. Joey Carbery, who started against Italy will move to the bench to accommodate Sexton with Kieran Marmion at scrum-half. Cian Healy, Tadhg Furlong, Iain Henderson, James Ryan, Peter O'Mahony, Sean O’Brien and CJ Stander are the other players to return to the starting line-up as Ireland aim to maintain their winning start. Jordan Larmour's impressive run against Italy means he will make his first start for Ireland at home.